A basketball free throw emulator for the TI-83 to the TI-84+SE. 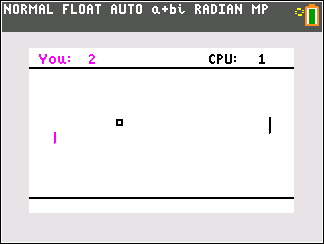 Pong for CE calculators, with two game modes! This program calculates quarterback ratings for four different leagues: NFL, CFL, NCAA, and AFL.